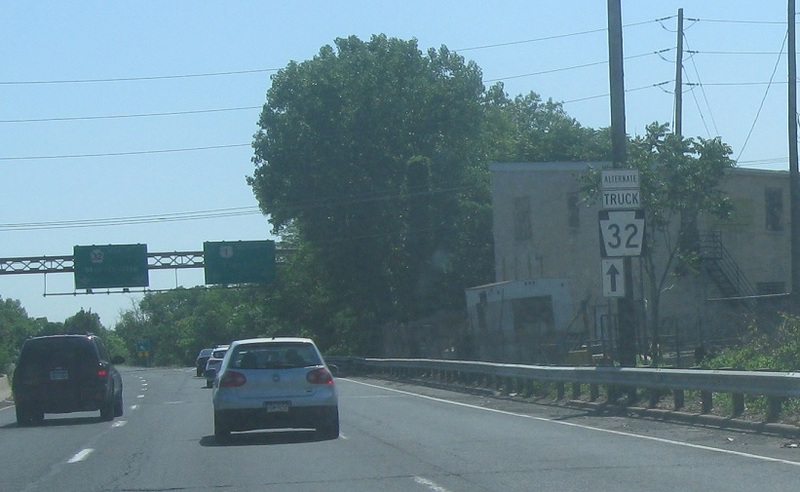 Just after US 13 we’ll approach Route 32. Keep left for 32. 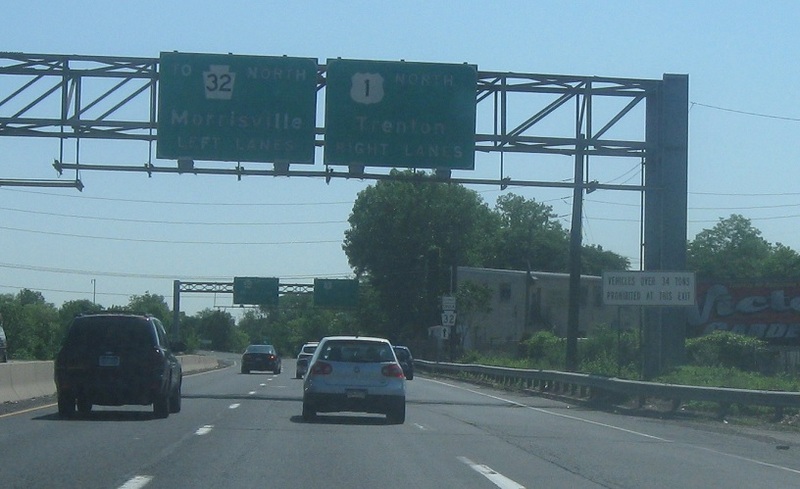 Keep right to stay on US 1 into New Jersey. 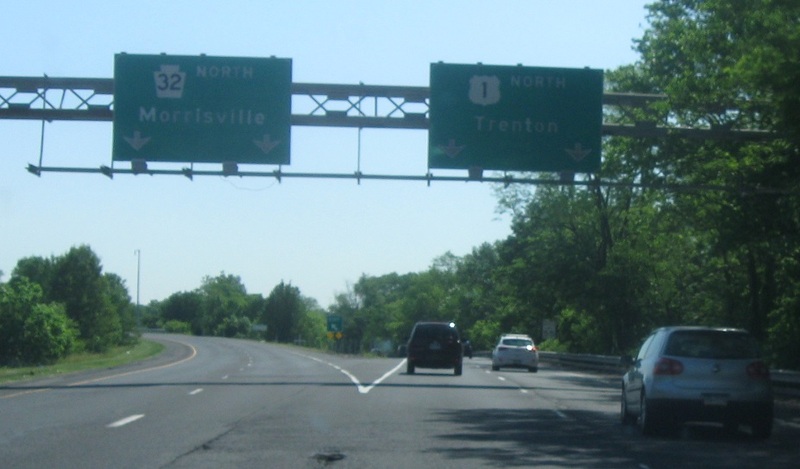 Follow 1 north into Trenton. 32 serves the border town of Morrisville. 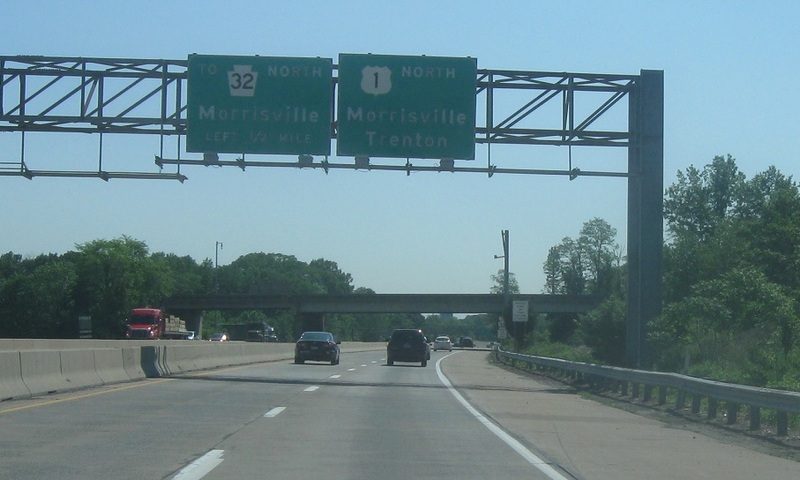 Follow US 1 for a truck alternate to Route 32 for one exit. 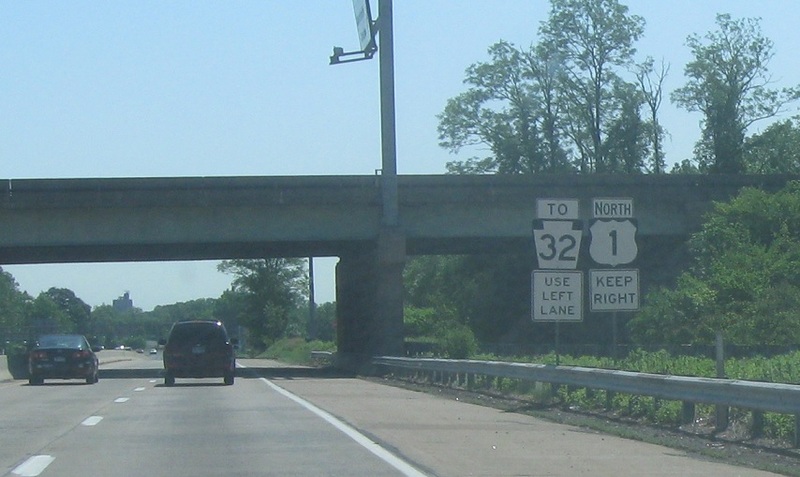 Keep left for 32 north and right for 1 north.